1. Make sure the griddle is nice and clean before first use. Wash it in soapy water, rinse it and dry it. 2. Never get the electrical control elements wet or get any cleaning products on them. Never place your electric griddle in the dishwasher. 3. When scraping food off the surface of your griddle, only use plastic, nylon, or wooden utensils. Metal utensils will scratch and ruin your electric griddle's nonstick surface. 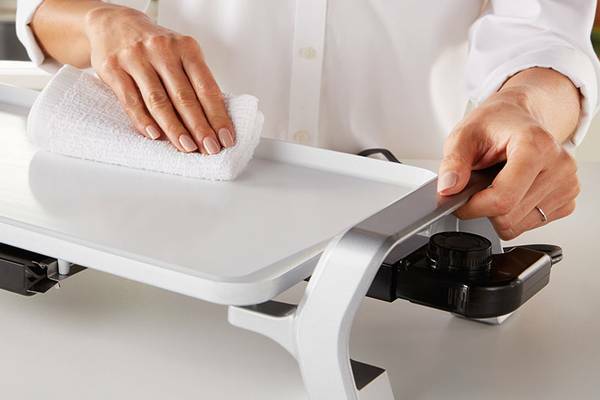 Excess oil can be removed from the electric griddle using paper towels. 4. Clean your griddle after each use. Wait until the surface is cool. Try cleaning the griddle first with a regular nonabrasive kitchen sponge and water. Most of the time that is enough to clean the electric griddle. If there is residue left on the griddle, then you can use a mild abrasive like soft scrub. You can also mix a little baking soda with water to make a natural scrub at home that is safe for your electric griddle. Scrub gently using a fine cleaning pad made of nylon mesh or just a regular cleaning pad. Steel wool or abrasive kitchen cleaners will ruin the surface of your electric griddle pan. Electric griddles, like the Presto electric griddle, are a great way to make cooking easy. Regular and proper care of your electric griddle will ensure your enjoyment of your electric griddle for many years to come.